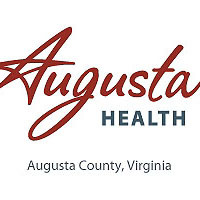 Events on the calendar at Augusta Health for the month of November 2016. An afternoon of learning for those with, at risk for, or caring for someone with diabetes. Information and handouts will be available. Fundraising auction of quilts to benefit Hospice of the Shenandoah’s Gifted Care Program. Mary Beth Landes, MS RD CSO, Augusta Health Cancer Center dietitian, presents information and recipes designed to reduce cancer risk. A presentation about managing diabetes from a patient’s perspective. This course is part of the Augusta Health Diabetes & Nutrition Education Self-Management Program. A doctor’s referral is required; insurance is billed. This is a different course than the free six week class for the general public. Information and registration at 213.2537. A one-session class taught by a Diabetes Health Educator for those who have been diagnosed with pre-diabetes or for those interested in learning about their risk for Diabetes. Information and registration at 540.213.2537. Call 540.332.4988 for information or to schedule a free one-on-one consultation. For cancer patients who have completed treatment, but still feel the need for continued support. For information, call 540.245.7105. A support group for newly diagnosed cancer patients who have fears, questions or concerns. This group also addresses life after cancer treatments. For those with Type 1 Diabetes and their family and friends. For information and location, please call Jean Magee at 540.213.2538. For those who have experienced a stroke and their family members, partners and friends. For information call Shelley at 540.332.4047. For those who are impacted by Parkinson’s Disease and their family members, partners and friends. This month’s topic is “Journaling for Health” with speaker Ginger Moran. For information, please email Joyce Huddle at joyce229@comcast.net or call 540.942.2229 or Ashley Reibel at areibel@augustahealth.com. For those with Type 2 Diabetes and their family and friends. For information and location, please call Jean at 540.213.2538.